Seven Myanmar soldiers were sentenced to ‘10 years in prison with hard labour in a remote area’ for the massacre of 10 Rohingya Muslim men in a village in north western Rakhine state last September, according to a Reuters report. According to the report, the Myanmar Army issued a statement on Tuesday in this regard published on Commander-in-Chief Min Aung Hlaing’s office Facebook page. 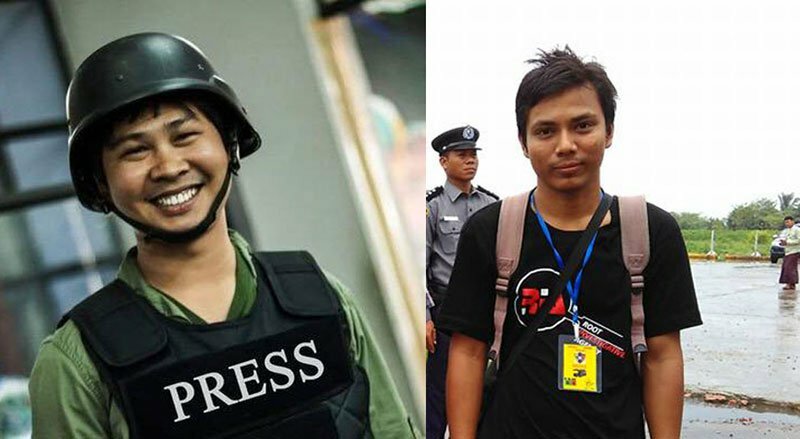 Notably the massacre was investigated by two Reuters journalists – Wa Lone, 31, and Kyaw Soe Oo, 28 – who were subsequently arrested in December and are still behind bars facing charges of violating the country’s Official Secrets Act. The authorities had told Reuters in February that the military opened an internal inquiry independently and that it is unrelated to the Reuters reporters who are accused of obtaining unrelated secret government papers. The Rohingyas from the northern Rakhine village of Inn Din were buried in a mass grave in early September after being hacked to death or shot by Buddhist neighbours and soldiers. Reuters had published its story on the murder in February. “Four officers were denounced and permanently dismissed from the military and sentenced to 10 years with hard labour at a prison in a remote area. Three soldiers of other rank were demoted to the rank of ‘private’, permanently dismissed from the military and sentenced to 10 years with hard labour at a prison in a remote area,” the military statement said. It added that legal proceedings against the police personnel and civilians ‘involved in the crime’ are still under way, according to the Reuters report. Later early this year, the military said the 10 Rohingya men belonged to a group of 200 militants who had attacked security forces. Buddhist villagers attacked some of them with swords and soldiers shot the others dead, the military had said. However, the military version was contradicted by Rakhine Buddhist and Rohingya Muslim when they were interviewed by Reuters. Buddhist villagers reported no attack by a large number of insurgents on security forces in Inn Din. 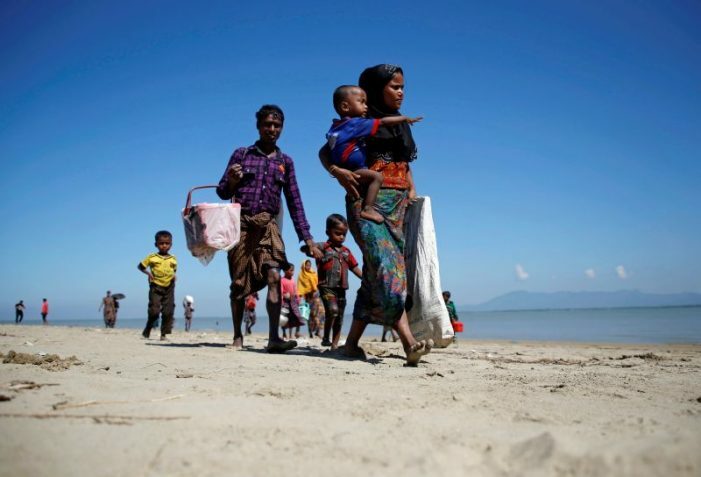 And Rohingya witnesses had reportedly told Reuters that soldiers picked the 10 men from among hundreds of men, women and children who had sought safety on a nearby beach.